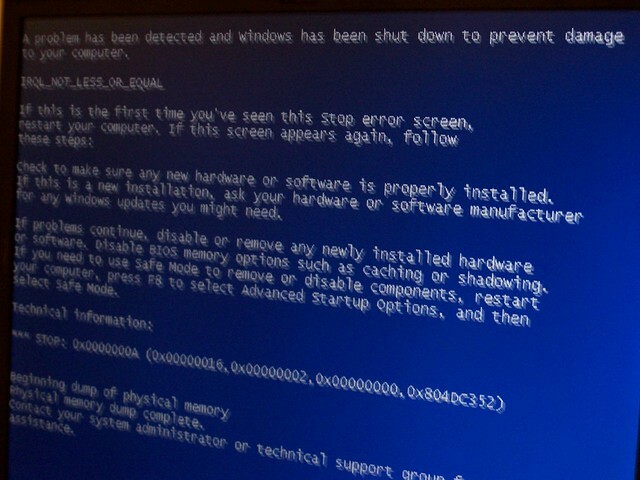 bsod | Flickr - Photo Sharing! I thought you weren't supposed to get the BSOD anymore on XP? Carol's laptop did. I've seen it happen before... Usually on XP though, the problem is typically very serious if it comes up though. When it did on a computer that I built, the memory was causing it to happen. Usually it means there is something really wrong with your system. I know when I had 2k and got a virus it would dump to memory flash the blue screen and turn off.